SAFARI'S TO THE BLUE LAGOON! NEW ! ! NEW ! ! NEW ! ! NEW ! ! NEW ! ! NEW ! ! Price includes boat trip, lunch, refreshments & fruit onboard!! NEW NEW! 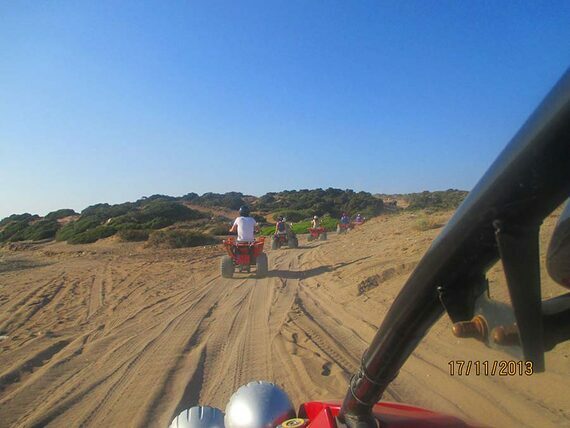 !....SELF DRIVE FULL DAY MINI JEEP SAFARI or QUAD to Akamas, including Aphrodite's Bath, Lara Bay, Akamas Forest and boat trip to the Blue Lagoon. Some tours include lunch and entrance fees, and the boat trips are also included in the price. You are welcome to tip our guide when you are happy with him/her, that is up to you. We maybe able to offer a free transfer from your hotel, this is only for hotels in the Paphos area though - not holiday villas or apartments. Please make this request via email and we will try to arrange it for you. For bookings or information please complete the book now form and we will come back to you asap.